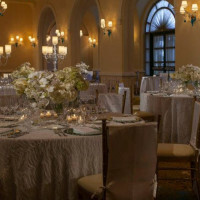 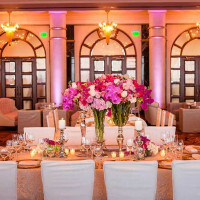 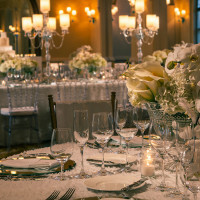 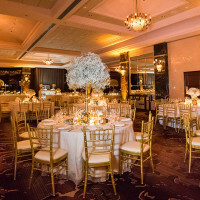 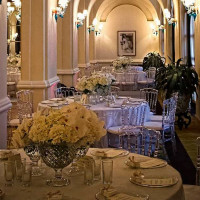 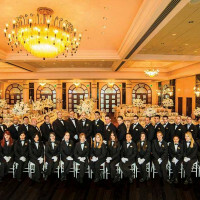 All of our ballrooms and venues have been carefully restored to maintain their characteristic old-world elegance and charm while accommodating modern day luxury and oceanfront ambiance. 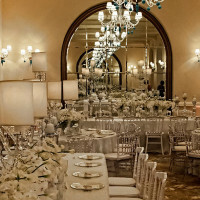 From the walls to the mirrors that hang on the wall, no detail has been overlooked that could compromise the authenticity of the experience. 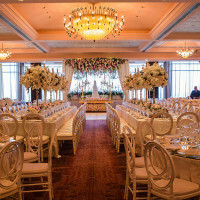 Our most opulent and elegant room is set for a fairytale wedding. 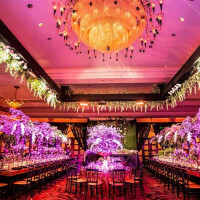 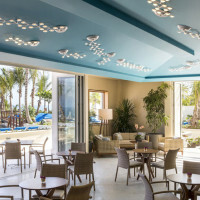 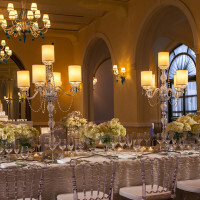 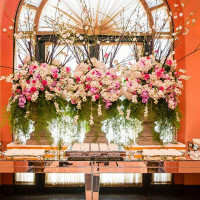 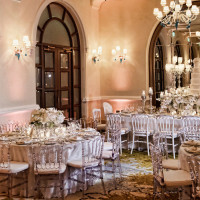 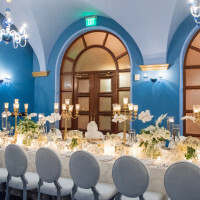 From the costum-designed and 1920’s inspired chandeliers, to the wall of floor to ceiling windows overlooking the Atlantic Ocean, Patio del Fauno is the perfect setting for a super event. 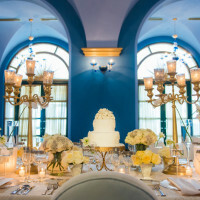 A cozy environment perfect for a smaller wedding surrounded by soothing blue tones that reflect the beauty of the ocean. 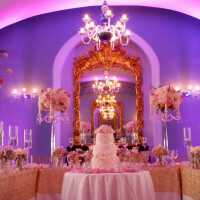 Decorated with 200-year-old mirrors rescued from the cherished Old San Juan Café, Teatro 8 Puertas, Salón Azul is one of the most unique and spectacular rooms in Puerto Rico. 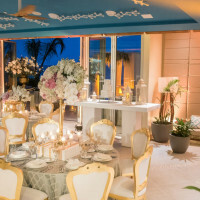 Featuring 2,800 square feet of functional space with a breathtaking ocean view, Salón Dorado offers a romantic and alluring ambiance to celebrate a medium-sized wedding. 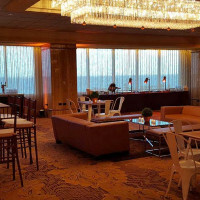 An inspired room beautified with amber lights, warm woods, floor-to-ceiling windows with uninterrupted ocean views, Honeywood panel walls, and custom made chandeliers. 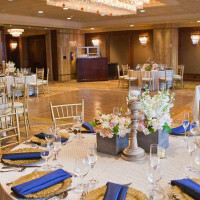 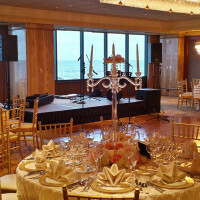 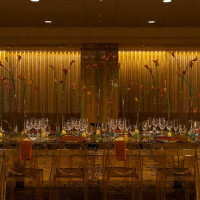 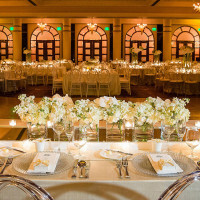 The Luchetti Ballroom also has a separate pre-function area available to complete your event. 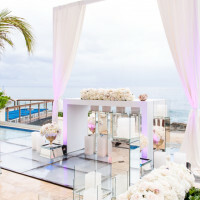 Facing the Atlantic Ocean to the North, and the beautiful landscape of Ventana al Mar to the East, La Ventana is our most unique venue for your wedding. 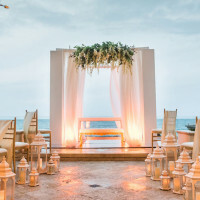 Celebrate both your ceremony and reception in this elegant beachfront setting, where your “I do’s” will be echoed by the ocean breeze.